Recent research has shown that simply drinking more water can both help with weight loss and provide a mental boost. The best part? It’s free of artificial colors and flavors; it isn’t genetically modified, and it’s readily available for most people living in developed countries. The value of water lies in far more than its thirst-quenching abilities. Rebecca Muckelbauer of the Berlin School of Public Health in Germany led a review of water studies, looking for any link between the top-hydrator and weight loss. She and her colleagues poured over studies on water consumption and weight loss and found 11 that fit their criteria. Of those, 3 demonstrated that increased water intake was tied to greater weight loss in dieters. One of those studies, for instance, found that women who drank two cups of water before a meal lost about 4 pounds more on average than those women who didn’t. Another found that those who drank more than one liter of water each day lost more weight than those who drank less. It could be that water fills your stomach and helps you lessen your caloric intake. But, Mucklbauer says, water may also increase your calorie-burning capability in what is known as “water-induced thermogenesis.” Though not very well studied, water-induced thermogenesis is an idea that drinking water boosts the amount of energy your body must expend and therefore burn. Water with lemon can be especially effective at burning fat and boosting immunity. While the research isn’t exactly concrete, there is no question that water is amazingly healthful. But if a slimmer waistline isn’t enough to convince you to drink more, maybe a sharper mind is. A small study published in the journal Frontiers in Human Neuroscience recently found that participants who drank about three cups of water before a round of cognitive testing scored better in some areas than those who did not. The improved scores were specifically pronounced in reaction times. People who were admittedly thirsty scored lowest. So just how much water should you be drinking? The Institute of Medicine recommends about 2.7 liters for women and 3.7 liters for men. Others recommend about 8, 8 ounce glasses of water daily. I am in total agreement with this article. It’s important to drink the right kind of water, the healthy kind that can slow down aging, combat free radicals, hydrates efficiently and performs detoxification. Kangen Water is the best drinking water that can do the above. Personally lost more than 18 pounds in 4 months just changing to Kangen Water. Eczema for 8 years cleared. Better bowel movement. Dad’s hypertension dropped to normal. Wife’s triglyceride dropped from 200+ to 90+. Uncle’s blood sugar levels normalized. Friend’s backache disappeared in one day and many many more testimonials. Great article. Does a great service. Wrong: "She and her colleagues poured over studies on water consumption and weight loss… "
Right: "She and her colleagues pored over studies on water consumption and weight loss… "
Perhaps understandable, given that the article was on water! HEY FREEDOM FIGHTERS! Aside from oxygen contained in the air we breathe water is the second most vital nutrient required to maintain the life processes of higher organisms. Without water intake we die within days as water (in its component molecules of hydrogen and oxygen) is involved in ALL vital physiological processed. 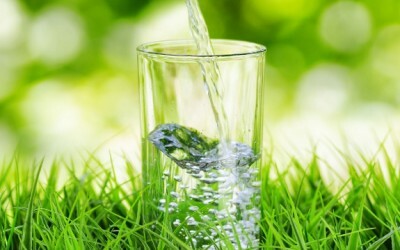 Dehydration is a major factor in many diseases (although it often goes unnoticed) and so it is no wonder that maintaining adequate water intake has beneficial effects on ALL systems of the body. I teach my clients to imagine the water washing away excess weight, toxins and old habits that no longer serve me well.